A few days back I was at the beach at sunset. It was a national holiday and so there was a larger crowd than usual of folks watching the light fall from the cliff over the beach. And so, I walked down to the sand, right to the point where the water lapped the shoreline. All that was before me was the expanse of ocean stretching out to the last light of the sun. As it began to sink into the horizon, the shape of the sun seemed to change from oval to hexagon. Horizontal bars appeared to break up the shape and the more I stared the more strange it felt to look at an image so strongly associated with one shape appear in quite a different configuration. Apparently, the sun is one of the roundest objects ever measured. Whilst there is change in the sun’s temperature and magnetic activity during its 11-year sunspot cycle, its shape does not change at all. It is constant. And so, given that people come everyday to watch the sunset on the small patch of land at the end of our road that looks out over the Pacific Ocean, for the 11 years of each cycle over 4,000 variances of shape may be perceived when in fact no change at all has occurred. A constant light is what each of us might be longing for, particularly when the days are shorter and the light of the day fades fast. It takes, though, a certain kind of faithfulness to be able to keep watch for the light, trusting that in spite of appearances that which we seek to behold is indeed changeless. Today, the church remembers a man who attempted through this life to wait faithfully on the light, Eric Liddell. Liddell was an athlete and missionary, made famous in the latter part of the last century by the movie Chariots of Fire, which portrayed his struggle between the opportunity for Olympic glory and the call he felt to serve as a missionary in China where he had grown up as a child to missionary parents. Liddell’s story, like all of our stories, inhabits an ambivalence. On one hand, he offers to us an example of self-denial in his willingness to leave behind the opportunity to be one of the most decorated athletes of his generation and instead to follow the call of faith on his life and serve overseas. On the other hand, it is hard to feel as comfortable with his decision to separate from his family in order to remain in China during the Chinese war with Japan in 1941, a decision that meant that the family would never reunite, in this life at least, with Liddell dying in China four years later. Ambivalence is a constant of human life. Yet even as it may have been present in Liddell’s life, his commitment to wait on the light, even at great personal cost, is a timely reminder of the value of such constancy in our current age of continuous novelty. Lent is that season, mostly passing unnoticed by the vast majority of people beyond sacramental church communities, when we are offered the opportunity to examine our own willingness to wait on light. They are days of wilderness learning, when the invitation is for us to remove ourselves awhile from the busyness of our daily lives, withdraw a little from the constant flow of stimuli, and learn more of what it means to wait on constancy. For Christians, such a posture opens up a more personal appreciation of some of the riches of other faith traditions: from our Abrahamic brothers and sisters within Judaism and Islam and the core conviction of the oneness and changelessness of God, to the eastern traditions of Hinduism and Buddhism and the promise of a self, emptied of distraction and attachment, that finds its oneness in a life that resonates with the eternal ‘Om’. Stillness and light. Constancy and patient waiting. They are hallmarks of a life opened up to the possibility of the ineffable. Good lessons for Lent and for life. Did we forget to ask questions? When I was growing up in England there was a soccer legend who I loved to watch play the game. I was and still am a fan of Tottenham Hotspur. Back then, my beloved ‘Spurs’, as they are usually referred to, were painful to watch, not because they couldn’t play the game well but because they would always end up disappointing you in the end. A few good games, and then a string of hapless defeats. Plenty of skill in the side but never any real consistency as a team. It was a pattern of unfulfilled hope. 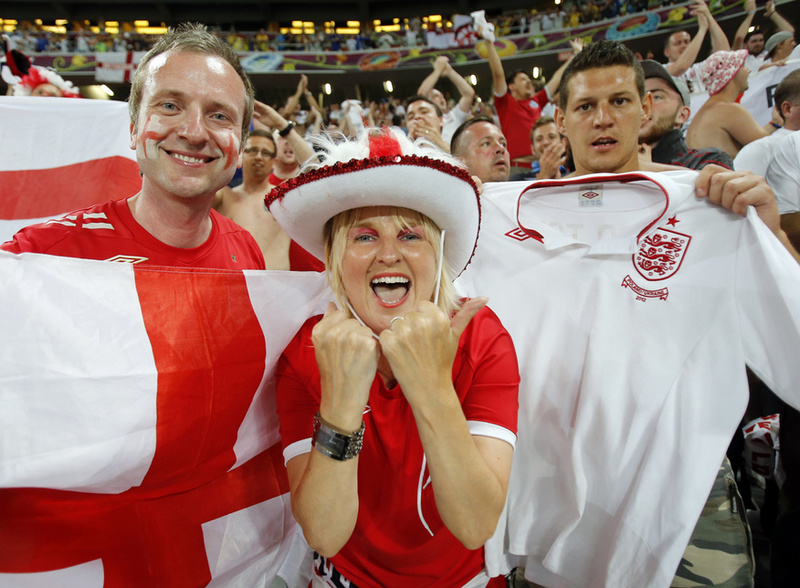 We, the fans loved them; they the team never seemed to be able to live up to our reality-denying adoration. And then came along Paul Gascoigne, an extraordinarily talented and it would turn out troubled young man. 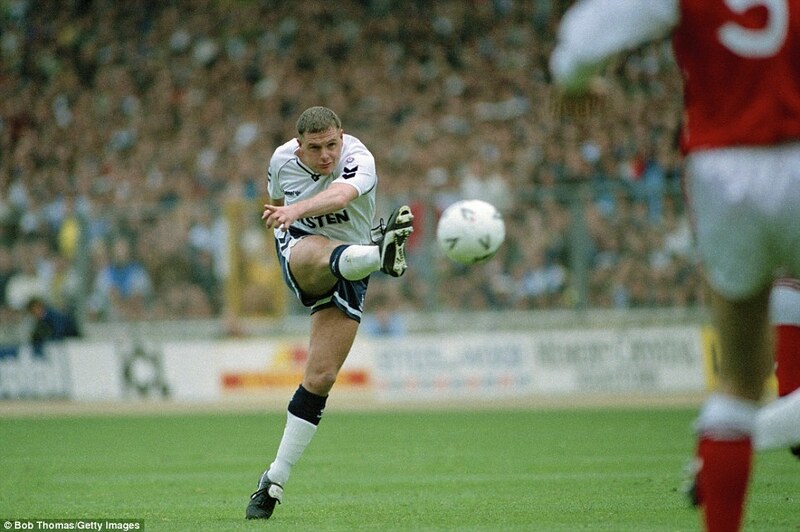 Gascoigne had the kind of talent at the time that both the Spurs and England national team had dreamed of finding – he could pass to anywhere on the field with consummate skill and accuracy. He could see the game faster than others and so anticipate what other players could only catch up to. And he could go past players with speed and skill and go on to score spectacular and at times outrageously spectacular goals. Needless to say, I loved him. English poet Philip Larkin wrote in ‘The Whitsun Weddings’, ‘Here leaves unnoticed thicken, Hidden weeds flower, neglected waters quicken…Here is unfenced existence: facing the sun, untalkative, out of reach‘. Amid the exuberance surrounding Gascoigne’s prodigious talent celebrated in the media and among fans alike too little was noticed about the man behind the hype, the man who was setting English soccer on fire and at the same time was increasingly living an ‘unfenced existence’ whose troubles particularly with alcohol would eventually render him ‘out of reach’ for those who would try to bring him back from the abyss. 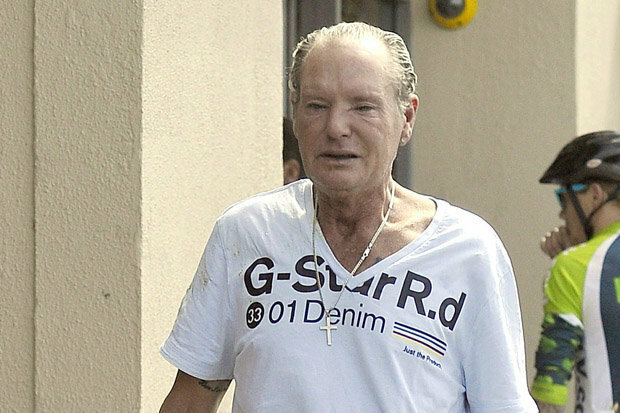 The tragic outcome of Gascoigne’s life since those glory days of his youth has been witnessed to in the shadow of a man whose gaunt face, aged well beyond its years, makes its appearance on B-listed celebrity magazines once in a while. The ‘hidden weeds’ of his life have torn apart a family and brought Gascoigne himself to the edge of death. It is loss enough that a human being whose physical abilities were so beyond the vast majority of his peers would be condemned to a life now lived out in a shell of the body he once had, yet the real tragedy of Gascoigne’s story is that nobody seemed to say anything, or at least in time enough for things to have worked out differently. 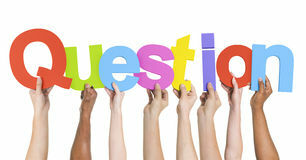 People had forgotten to ask questions when questions were what was most called for. I thought of this collective failure as it pertained to Gascoigne’s life when I watched Payton Manning being interviewed last night as the winning quarterback of the 50th Super Bowl. 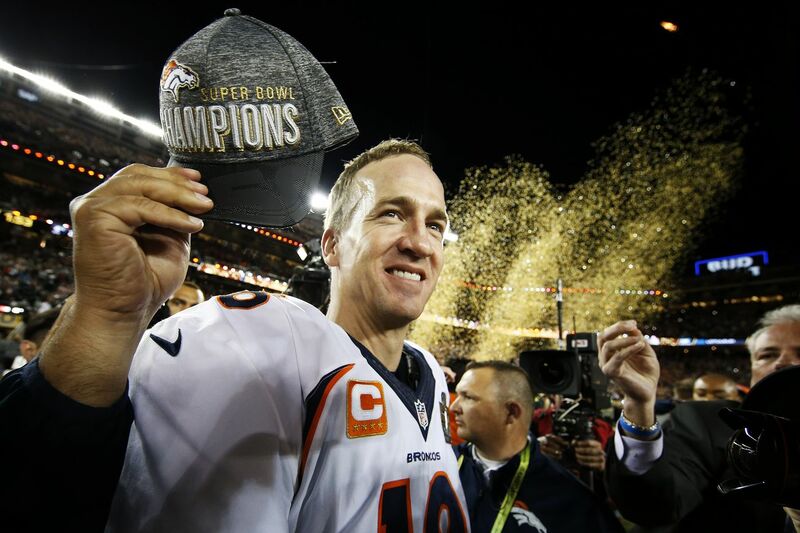 Manning is also a player of extraordinary skill and in his case achievement and on being interviewed after the game he said the kind of things we expect sports stars to say – he was going to get his priorities in order: he was going to hug his wife and kiss his kids, and then think about the future. And then, not once but twice in two separate interviews, he said to the millions of adults and kids still watching the post-game spectacle that he was going to drink a lot of beer, Budweiser to be exact, who must be delighted that the next generation of drinkers will be heading their way. What struck me last night about that double incident of product placement/thoughtless failure to role model right at the moment when role modeling was needed most, was how the person holding the microphone in each case offered no response to the seeming incongruity of the winning quarterback’s statement. A similar failure to ask a question has been witnessed repeatedly in the presidential debates and media statements of the last several months. Over the past few weeks the same candidate has stated that if elected President he would introduce ‘something worse than water-boarding’ and not too long before that reportedly said that he could go into Time Square, shoot someone, and it still wouldn’t affect his voting numbers. By now there is nothing remarkable about the fact that people running for high office in this country say outrageous and even disturbing things in an effort to ride a spike in the opinion polls. What remains remarkable to me is how extensive our failure is to ask questions of them, a failure highlighted by the fact that when a Fox News journalist did call to question one particular presidential candidate’s comments on women, the fact that she asked such questions rather than the fact that he had made such comments became the news story. It has been argued that one of the essential roles that communities of faith play in society is to be communities of the question, gatherings and networks of relationships which cultivate the tenacity and courage to critique power. 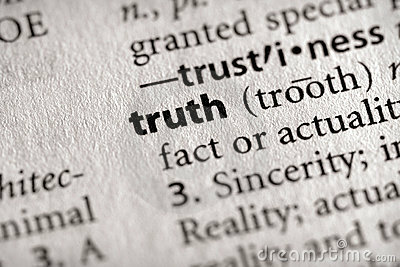 Speaking truth to power has been a trope laid at the feet of the Christian commitment to be salt of the earth since Jesus stood before Pilate and questioned the representative of the world’s most powerful man, ‘what is truth?’ These are times when our ability to influence one another through media and digital networks is greater than in any other time in human history. We are assailed daily by more information and opinion than we have the ability to decipher or deconstruct. The ability to ask questions of that unrelenting stream of communication is essential if we are to remain people who will know what it is to discern, who will know how to make constructive meaning of what it is that we see about us in this world. Many argue today that the church is increasingly marginal to the core of civic life in America and that we are entering at pace a post-religious age. That may be so, yet for a society where seemingly all publicity is good publicity, communities that will cultivate a questioning spirit and an attentiveness to the truth-claims we make before and on behalf of one another are needed more than ever, not only as religious assemblies but as socially embedded insurgents for the cause of decency, dialogue and the common good. Today, at long last, is the Iowa Caucus. After months of presidential candidate news feeds that have left the American people anything but well-fed, the political process finally makes it to first base and votes will actually be cast. A caucus is not a only the opportunity to cast a vote for a preferred candidate, it also opens up the possibility for people to engage one another in dialogue about the issues of the day, gathering in common voting locations such as schools, fire stations, city halls and churches. We might want to be hopeful that these neighborhood conversations can generate more learning and listening than their prime-time television counterparts have, because dialogue is what we have been in need of for some time. In Cedar Rapids, Iowa, a young imam interviewed by NPR today shared how impoverished the dialogue of the American people has become these past few months of this oftentimes vitriolic campaign for President. He described how he often encourages members of his faith community not to pray publicly during air travel and that he assures female believers that it is permissible for them to remove their head covering until they arrive in the airport at their destination. ‘For their own safety’, he says. The imam, Hassan Selim, who as the father of two little girls is keenly aware of the kind of country the next generation might live in, describes the exhaustion of always having to explain himself in public, always needing to allay fears based merely on the way he or other Muslims look, an endless act that can never seem to shake off the tendency to lose something important in translation. The U.S. has had a long and laudable history of being a place on this Earth where people of any background, any belief system, any sense of self might have the opportunity to be received, not only by the government of this nation but by its people. Yet from the earliest encounters between one people and another on these shores, this negotiation of difference has struggled to respect the dignity of the other that real dialogue requires. From the Spanish and later the English settlers to the myriad of nations which made their way to the States via the immigrants arriving at Ellis Island, the meta-narrative of the great American melting pot has always had to contend with the difficult work of making space for the other to be their true selves. For the shadow side of the American Dream where anyone can make a fresh start of life within the land of liberty is the story of the struggle against systemic oppression and the promotion of fear witnessed in the genocide of Native Americans, the enslavement of African labor, the segregation of African Americans and the marking out for difference of Muslims today. We remain a people in need of honest dialogue, and never more so than when the country steps to the polling booth to elect its next leader. How then might churches, and the people who make up their communities of faith, be brokers of such dialogue, of exchanges between people that will refuse to allow the true voice and identity of the other to be lost in translation? As an Episcopalian, one of the fundamental tenants of the faith of our tradition that has the potential to support honest and real dialogue is the baptismal covenant which calls on all of the baptized to respect the dignity of every human being. It is a small line in a lengthy set of words, and can almost feel like a throwaway aphorism of the sort that equates ‘loving your neighbor’ with smiling at passers-by on the sidewalk. Yet at its heart, if the commitment to listen for, to be attentive to, to accommodate the worldview of, and to engage in authentic relationship with those around us is an ongoing and undeterred practice in society, then a seemingly innocuous line can become a subversive element, a postcolonial turn that has the power to undercut the bigotry and banality of what constitutes much of the public debate on what we make of our diversity as the American people. In spite of all appearances, public life in this country is in need of serious people with a thoughtful and subtle attentiveness to the complex issues facing not only this nation but our world. As people of a faith tradition who have enjoyed the privilege of freedom and status in this society, churches this election season have the opportunity to encourage their congregants to be the voices that will encourage ‘we the people’ to ensure that all of the people get a place at the American table.